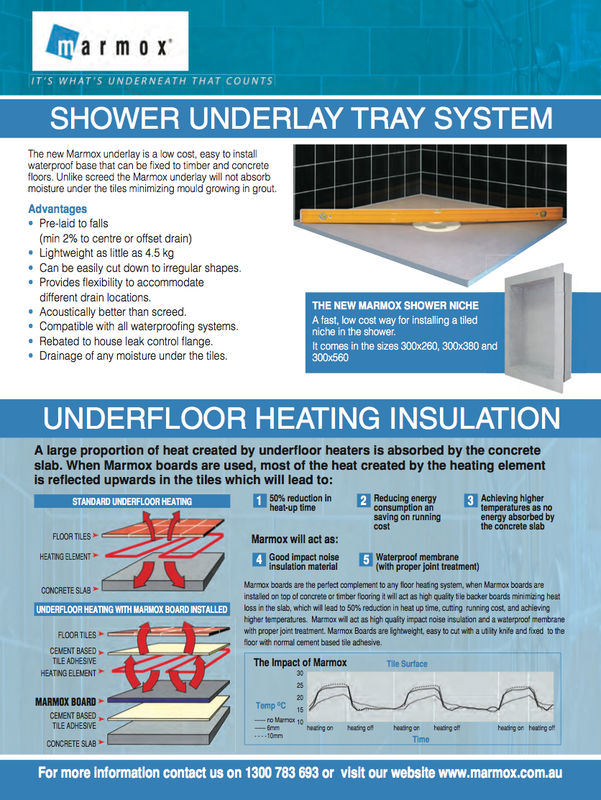 Marmox Boards are an ideal complement to any floor-heating system. 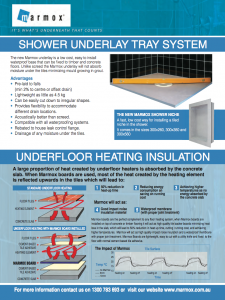 When Marmox Boards are installed on top of concrete or timber flooring it will act as high quality tile-backer boards minimising heat-loss into any concrete slab. This will lead to 50% reduction in heat-up time; cutting running-costs; and achieving higher temperatures. Marmox will act as high quality noise-insulation and a waterproof membrane with proper joint treatment. Marmox Boards are lightweight, easy to cut with a utility knife; and fix to the floor with normal cement-based tile adhesive.